Let's start with the products mentioned in the first set of acknowledgements. Globe-Trotter is a partner since SkyFall and has provided some of the suitcases seen in SPECTRE. Bond himself uses a Globe-Trotter original brown suitcase when traveling through Mexico. The company also has released two collections to coincide with the release of the film: the SPECTRE collection and the Moneypenny selection. These items are not visible in the film itself. 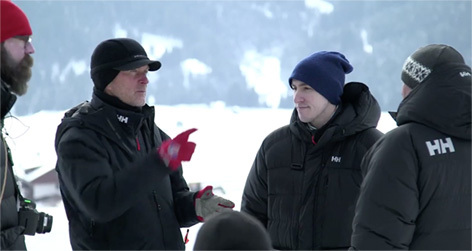 Norwegian clothing brand Helly Hansen is mentioned in the credits because it has supplied the film crew with their weatherproof jackets. 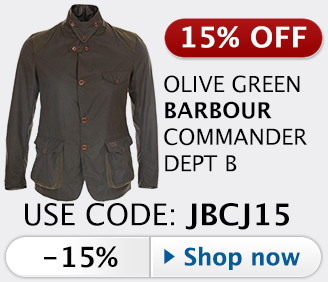 A selection of the clothing items provided to the crew was for sale at the official 007 shop (update 2017: currently removed). Helly Hansen itself is not visible in the final film. Hyundai Motor UK is the next in the list. The UK branch of the Korean car manufacturer provided some (KIA) cars for SkyFall and once again have provided some of the vehicles in SPECTRE , most notably the London police cars at Westminster Bridge. The models include the Hyundai i40, Hyundai ix35 and Hyundai Santa Fe (thanks to Robert Scheidemann for spotting these). The Macallan provided Bond's scotch in SPECTRE - a bottle of The Macallan 18 Year Old can be seen in his apartment. 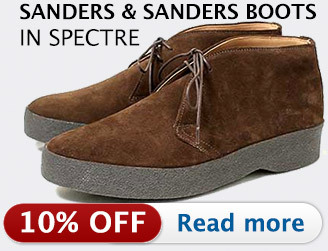 The brand was first seen in SkyFall in which it received considerably more exposure, being consumed by M, Bond and Silva in several different scenes (read more). British manufacturer Norton Motorcycles is mentioned next in the SPECTRE end credits. 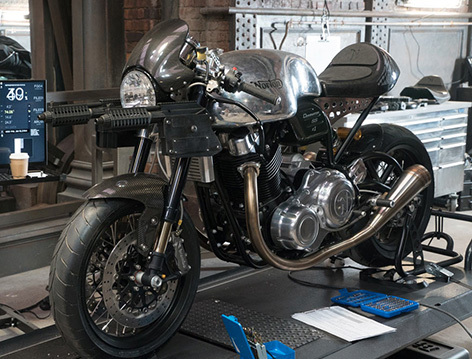 A Norton Dominator SS motorcycle can be seen in Q's workshop, as one of the vehicles being equipped with guns and other optional extras. Unfortunately the Norton doesn't get any action, but it would be great if we would see the Norton Motorcycle in the next Bond film. The next brand in the first list is S.T. Dupont, a French luxury accessory manufaturer from France. The company created Bond related merchandise in 2004 and 2006, and three pairs of Dupont Cufflinks (the 5172, 5174, and 5244) were worn by Bond in Casino Royale. In SPECTRE, the brand doesn't get much exposure: the briefcase behind Oberhauser at the first SPECTRE meeting looks like a D-Line briefcase from S.T. Dupont and the pen that Bond uses to write at Lucia Sciarra's villa could be by Dupont, but it's hard to see and not confirmed. A shout-out to TerraServer.com, a company that provided satellite images. These are titles of paintings and the estates of the painters Picasso and Pollock. Le pigeon aux petit pois (The Pigeon with Green Peas) is a 1911 painting by Pablo Picasso. 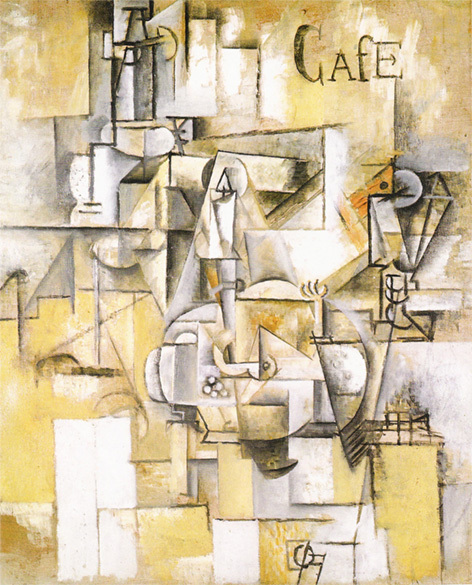 It was one of five paintings stolen from the Musée d'Art Moderne de la Ville de Paris in May 2010, which together are worth about €100 million ($123 million). In SPECTRE, this Picasso painting is hanging in the room of James Bond in Oberhausers Moroccan lair. 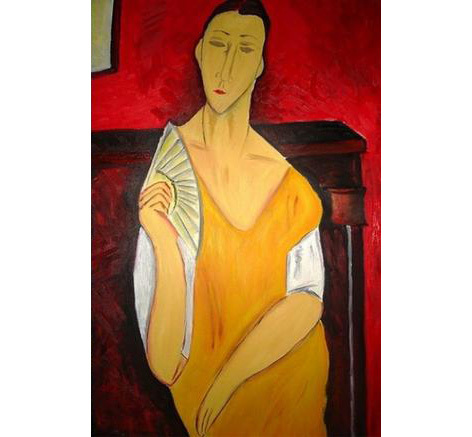 A second painting seen in the film (not mentioned in the credits), also stolen from the Museum of Modern Art in Paris in May 2010, is Woman with a Fan (1919) by Italian painter Amedeo Modigliani. This painting can be spotted on the left wall of Madeleine Swann's room in Oberhauser's lair in Morocco. This is not the first time that the Bond producers put a stolen painting in one of the villain's lairs. In the first Bond film Dr. No (1962), Francisco Goya's painting Portrait of the Duke of Wellington, which was stolen from the National Gallery in London in 1961, was displayed in Dr. No's lair. 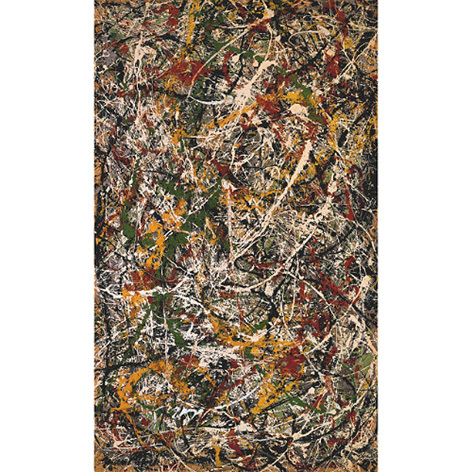 The second painting mentioned in the credits is Number 3 Tiger, a 1949 painting by Jackson Pollock (note the spelling mistake in the end credits, where Pollock is spelled with an 'a'). 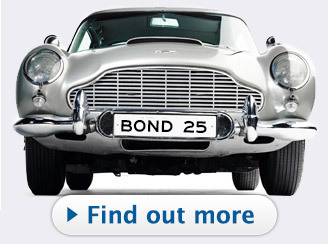 If you have spotted the painting in the film, contact Bond Lifestyle here. The final company to mentioned in the Products and Services acknowledgements is Tom Ford, who provided Bond with most of his clothes in SPECTRE. 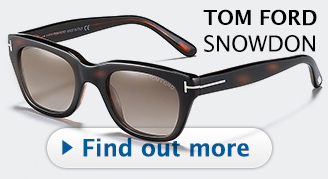 Not only the suits and coats, but also polo shirts, ski trousers, ski jacket and the sunglasses are all by Tom Ford. 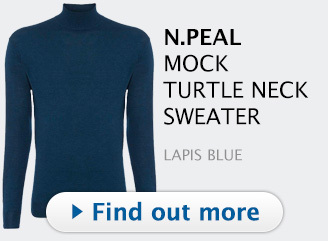 Read more about the individual items here. In this "Thanks to" list, several people and organisations are mentioned that have supported the production of the film in one way or another. Mexican business men Miguel Alemán Magnani, president of Grupo Alemán and airline Interjet, and Daniel Chavez, vice president of Vidanta, were both sponsors of the film, providing assistance for the Mexico shoot in an effort to create more economic activity and tourist awareness for Mexico. The reason that actress Maria Grazia Cucinotta is mentioned in the credits is probably that she participated in a charity auction for SPECTRE, and possibily did other promotional work in Italy for the film. The main prize of the auction that benefiited the largest breast-cancer organisation in the USA, was a tour of the SPECTRE set in Rome, accompanied by Maria Grazia Cucinotta, and a meet and greet with Daniel Craig. Maria Grazia Cucinotta appeared in The World Is Not Enough as the 'Cigar Girl', the assassin on the Sunseeker Superhawk 34 that Bond chases in his Q-Boat on the Thames in the pre-title sequence of the film. Jack Falkner (Jakob Falkner) is the Managing Director of Bergbahnen Sölden, Austria, the cable car which is seen in the film. The top of the cable car is the ICE-Q restaurant, which doubles for the Höffler Klinik in the film. Kingsley Amis was an English novelist, poet, critic, and teacher. 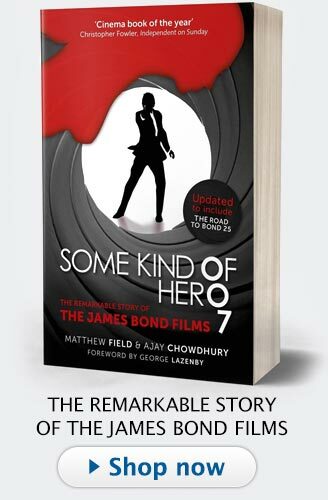 Among his huge literary output are several James Bond related books. In 1965, he wrote the popular The James Bond Dossier under his own name. That same year, he wrote The Book of Bond, or, Every Man His Own 007, a tongue-in-cheek how-to manual about being a sophisticated spy, under the pseudonym Lt Col. William ('Bill') Tanner (Tanner being M's Chief of Staff in many of Fleming's Bond novels). In 1968 Amis wrote Colonel Sun, the first james Bond continuation novel after Fleming's original Bond novels. Colonel Sun was published under the pseudonym Robert Markham. The reason Amis estate is mentioned in the SPECTRE end credits is that Oberhausers torture scene in the film was inspired by a torture scene in Colonel Sun (source). 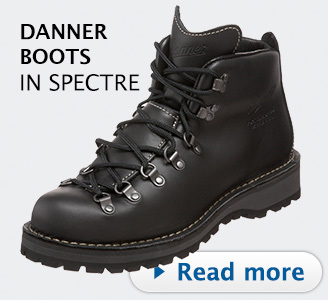 An organisation that assisted with SPECTRE being partly made in Austria - visit website. FISA - Film Location Austria is a subsidy programme by the Austrian Federal Ministry of Science, Research and Economy designed to support the production of cinema films - visit website. Cine Tirol is an initiative by the State of Tirol (in Austria) and the Tirol Tourist Office for the international promotion of the Tirol as the leading film location in the European Alps. 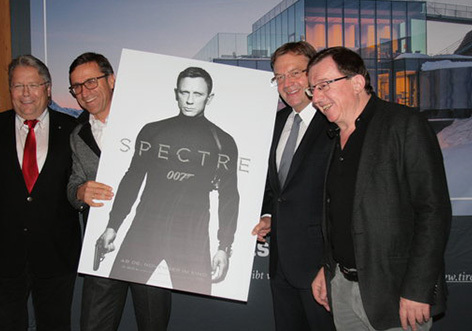 Read the article James Bond 007 - SPECTRE in Tirol on the Cine Tirol website for more details about the filming in Austria and the effect of the production on tourism in the area. The Austrian organisation Cinestyria Film Commission and Fonds offers a one stop address for all filming and TV projects launched in Styria (a state in the southeast Austria), with special emphasis on their possible exploitation internationally and the tourism value of the submitted projects - visit website. A 'thank you' to the people and business affected by the huge production of the openign sequence, which was filmed in the heart of the Mexican capital. A 'thank you' to the government of the Mexico City - visit website. The brands that are mentioned include of course Aston Martin, who created and produced 10 Aston Martin DB10 cars especially for the filming. Bollinger is always a sponsor of the film, providing not only bottles of champagne for Bond in the film, but also for the premiere parties and other events. Heineken is a sponsor since the early Brosnan Bond films. Usually the brand only shows up in the background of a scene (in Die Another Day, the annoying group of guys on the beach is drinking Heineken beer for example), but SPECTRE is the second film after SkyFall in which Bond drinks a bottle himself. This time he drinks Heineken in Hotel L'Americain and he uses the beer to find the hidden room of Swann's father Mr White. 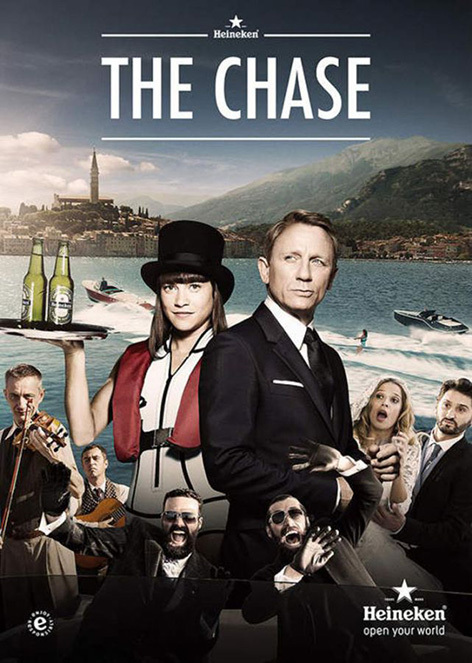 Also for the first time Daniel Craig participated in a tv commercial for Heineken, "The Chase". Jaguar Land Rover was once again another big sponsor of a Bond film, providing many cars including the SVR Range Rovers and Land Rovers in the Austria chase scene. 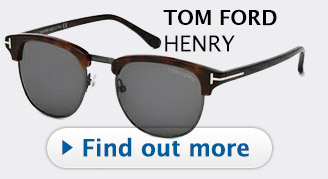 Omega is a partner of the Bond films since 1995, when Bond started wearing the Omega Seamaster. In SPECTRE Bond wears three Omega watches, the Omega Seamaster 300 SPECTRE, Omega Seamaster Aqua Terra 150M Master Co-Axial and a vintage Omega in the Aston Martin DB5. 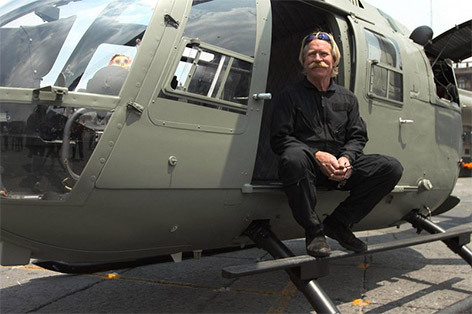 Red Bull is probably mentioned in the SPECTRE closing credits thanks to the participation of Chuck Aaron, the famous Red Bull aerobatic helicopter stunt pilot who performed the helicopter stunts in the opening scene. The model helicopter in the scene, an MBB Bo105 Helicopter is the same Red Bull helicopter that Chuck Aaron usually uses for his stunts, but painted green using wax paint for the film. 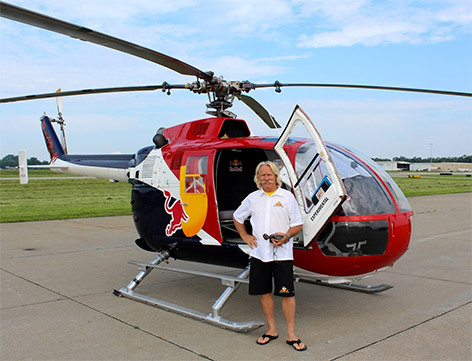 Red Bull's Chuck Aaron is America's only licensed aerobatic helicopter pilot who can perform amazing maneuvers such as the heli, flip, tumble and spin. Apparently it was director Sam Mendes himself who first approached Chuck about doing the stunts for SPECTRE. Sony has been a partner in all of Daniel Craig's Bond films, and often many Sony gadgets were used by Bond or his allies. But this time in SPECTRE, we don't see any prominent Sony product placement. 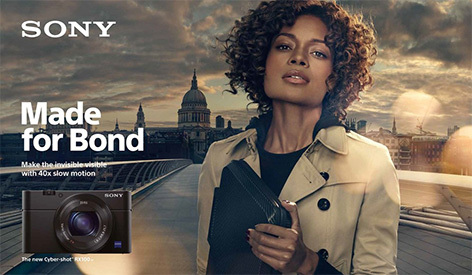 A promotional campaign 'Made For Bond' was launched, featuring a Sony Xperia Z5 and Sony photocamera, starring Naomie Harris as Moneypenny. James Bond uses a Sony Xperia Z5 in the film (seen when he calls Moneypenny from the DB10), but the phone is barely seen. Miguel Alemán Magnani, president of Grupo Alemán and airline Interjet, and Daniel Chavez, vice president of Vidanta, were both sponsors of the film, providing assistance for the Mexico shoot. The final thank you is to the citizens of all the film locations: London (UK), Mexico City (Mexico), Rome (Italy), Lake Altaussee, Sölden and Obertilliach (Austria), Tangier, Oujda and Erfoud (Morocco). In the next article of the End Credits we'll take a look at the SkyFall closing credits. If you have any additional information about any of the credits mentioned above, please contact Bond Lifestyle or post a comment below. Bond's widescreen (in his flat) and Q's monitors are all Sony.